Now it will be possible to record the audio of the game track separately from the microphone. In response to recurring requests from players and YouTubers, NVIDIA announces that the latest GeForce Experience 3.8 update adds the ability to record videos from your games with separate audio channels on NVIDIA ShadowPlay, meaning you can now record the original Play on a separate channel from the player’s voice captured by the microphone. “Recording audio in separate tracks makes it much easier for gamers who want to share their games or even those who work with it, like YouTubers who make gameplay videos. With separate audios on different tracks, you can handle the volume and quality of the voice without affecting the sound of the game and even make different edits on the same piece independently. This is a very sought after resource for players around the world and we are happy to be able to offer this option further in GeForce Experience, “explains technical marketing manager for Latin America, Alexandre Ziebert. 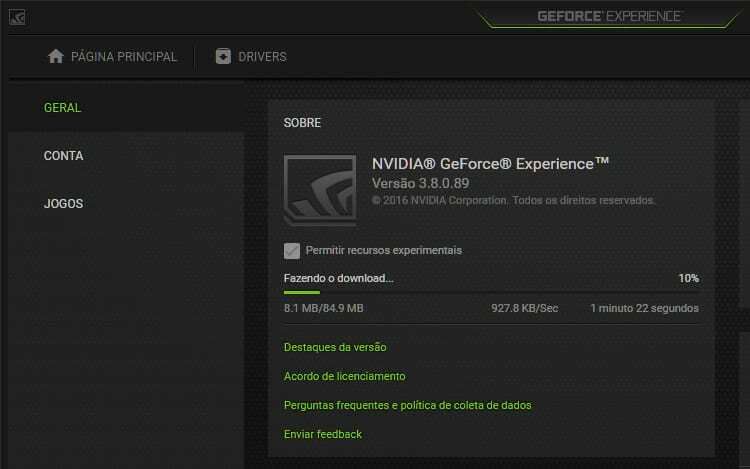 The news, still in beta, can be downloaded in GeForce Experience, but for this, it is necessary to enable the option of experimental features, which is inside the settings screen. Then click on the “Audio” button to set up sound recording details, including the volume captured by the game and the player’s microphone. On that same page, the player must click on the “Separate Both Tracks” option.